What makes the best and worst retail customer experience? According to the Temkin Group research and consulting firm, it's a combination of three aspects of a customer's interaction with a company - functional, accessible, and emotional. 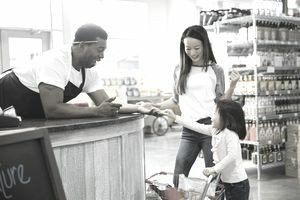 If it is true that customer experience can be defined in this simple way, then the next logical question for those interested in the U.S. retail industry would be which retailing companies are best and worst at providing customers with a smooth and glitch-free functional experience, an easy access experience, and an experience that makes an emotional impact? The annual Temkin Customer Experience report is created to reveal exactly that - the largest U.S. retailing companies that have been delivering consistently best and worst customer experiences in the past year, as rated and reported by the customers themselves. Consumers are surveyed and asked just three questions about their latest interaction with a company to determine customer's opinions about each company's functionality (from "completely failed" to "completely successful"), accessibility (from "very difficult" to "very easy"), and emotional impact (from "upset" to "delighted"). Individual opinions are averaged, and a customer experience ranking is obtained based on the average customer scores. Whether or not functionality, accessibility, and emotional impact are the only three aspects of the retail experience that customers care about is another discussion for another article. The Temkin research consultants believe it's that simple. Perhaps they're correct, but in 2015 there are likely several retailing companies that strongly disagree. Are the customer experiences at the typical Taco Bell and Sonic Drive-In better than the typical Starbucks customer experience? Do Walgreens nail polish and cough syrup customers have a better customer experience than fanatically loyal Costco customers who are willing to pay an annual fee for the right to walk in the Costco front door? Is the typical customer experience at the typical 7-Eleven store more than twice as good as the customer experience delivered by trained home improvement specialists at Home Depot? According to the Temkin Customer Experience definition and survey methodology, the answer is "Yes." According to my personal customer experiences, the answer is "No way," "Never," and "Not even close." Which retail chains provide the best experience to their customers? The people most qualified to answer that question are the customers themselves, which they do each year in a customer experience survey conducted by Temkin Group research and consulting firm. Between the years of 2015 and 2011, customers have rated and ranked retail chains like Aldi, Amazon, Sam's, Publix, and H-E-B as multi-year customer experience bests. In that same period, customers have ranked retailing companies like Dell, AT&T, Ford, and RadioShack as multi-year customer experience worsts. By comparing customer experience rankings from 2011, 2012, 2013, 2014, and 2015, it’s possible to see the trends of individual retailers as viewed by the customers they serve. What follows is a multi-year customer experience comparison of all retail chains that were included in the annual Temkin research from 2011 to 2015. The numbers to the right of the dates are the ranking numbers that each retail company was given based on the ratings of emotional impact, functionality, and accessibility provided by their customers, as compared to all companies from all industries. A low ranking number indicates the retailing companies with the best customer experiences. Higher ranking numbers identify the companies that customers consider to deliver the worst customer experiences.